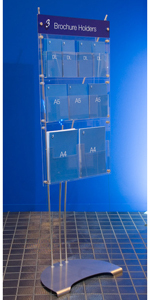 A portable and cost effective, contemporary modular system for creating a range of backdrops and display stands for showrooms and exhibitions, that's simple for users to assemble without needing contactors. Trilite 100 - designed around a 1" tube, is lightweight and decorative, ideal for exhibition stands, interior design and retail applications. 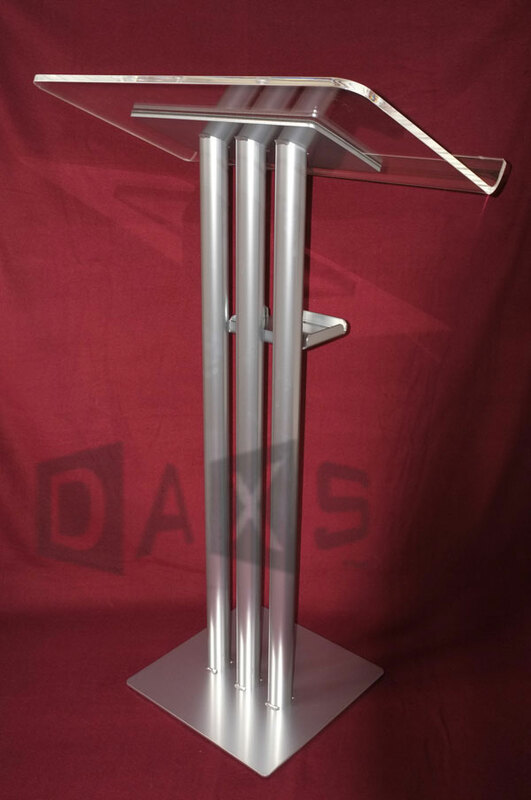 The V-Truss version is even lighter and is stackable - taking up less space for storage and transport. Trilite 200 - its 'big brother' based on 2" tube, has remarkable loading capabilities, enabling it to be specified for both internal and external large scale structural applications. Stunning full colour graphics for your stand can be printed on almost anything - including foamex, perspex, mesh, MDF, PVC, vinyl, and texiles - and finished as required, for indoor or outdoor use. Flexible graphics are digitally printed either on a high quality opaque polyester film and finished with a crystal (scratch resistent) seal, or printed on paper and laminated between a stoplight backing and crystal seal. Printed fabric graphics are produced using the latest high resolution digital dye sublimation. 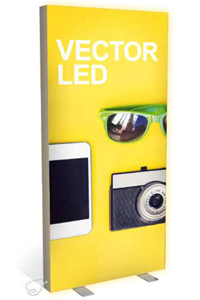 For rigid panels, depending on the application, graphics can be laminated on foamex and finished with a satin, gloss or crystal seal, directly 'flat-bed' printed, or printed on self-adhesive vinyl using solvent inks. Prices are based on receiving 'print ready' artwork in a suitable format. We're happy to liaise with your designer / agency, or we'd be pleased to quote for providing design and origination services as required. For custom modular systems, a CAD service is available to help translate concepts and sketches into structurally sound designs, and to provide visuals and quotations as required. All systems include set-up instruction / user training as required for customers within about 100 miles radius of London. Further afield, an additional charge for time and expenses would apply.